When my kids asked me what I wanted for Mother’s Day I told them, “Breakfast in bed.” They didn’t believe me…or they don’t want to get up early! As you can tell, I don’t “drink my fruit.” I don’t drink juice, but would rather have the actual fruit: orange, apple, grapes, bananas, strawberries. FlyLady.net recommends gifts that you don’t have to dust. Edible gifts fit the bill. 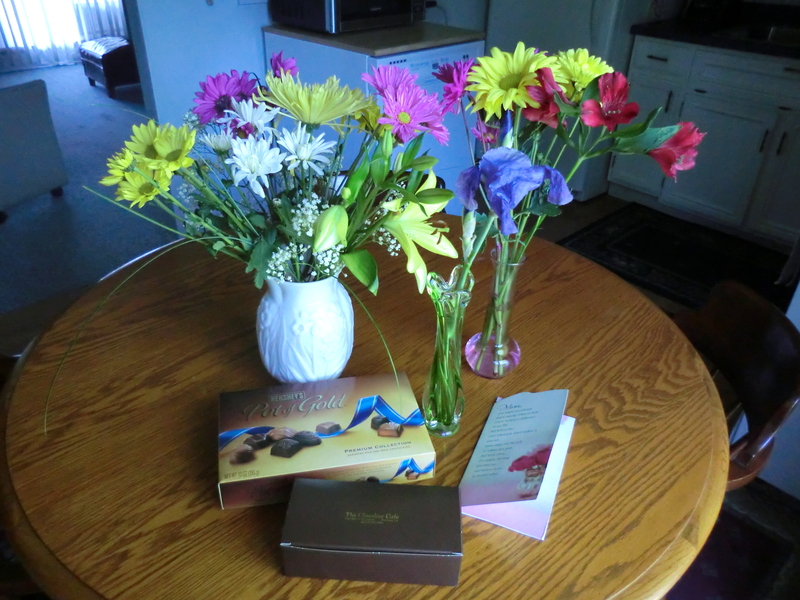 Last year my children lavished me with beautiful flowers and candy. I enjoyed them and was grateful but still would rather have breakfast in bed.